I have been buying herbs, flowers, greens, and other vegetables from Eva Sommaripa of Eva’s Garden for six years now. 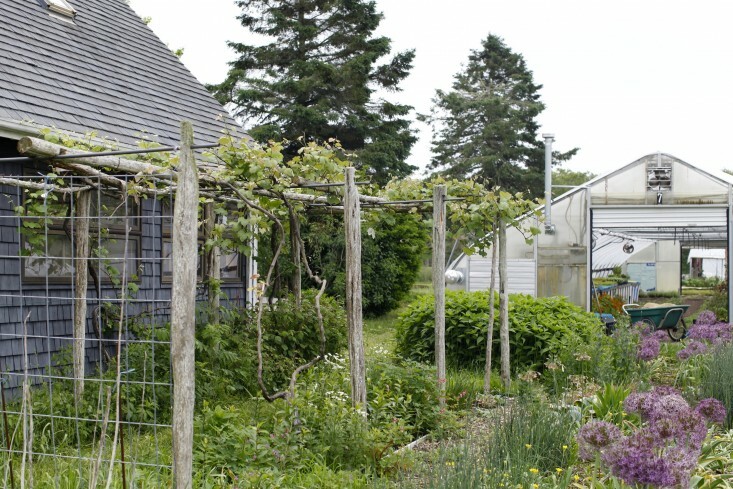 Her farm is Certified Organic and is located about an hour south of Boston in Dartmouth. She is a fun, energetic lady who grows over 200 varieties of uncommon herbs, greens, and other interesting vegetables that all help inspire my dishes. Whether it’s anise hyssop with strawberries, lemon verbena with peas, or just some of her tender pea greens, she really grows some amazing stuff!She has also turned me on to so many ingredients that I had never used or even heard of. It’s a really exciting moment when this time of year comes around, and I get weekly emails from Eva with over 100 different items to choose from. Thanks Eva! Another of our favorite farms to buy from is Sparrow Arc, which is owned and operated by farmer Matt Linehan. Matt originally started his farm in Maine, where he grew beautiful produce for eight years before relocating to a larger farm in Copake, New York, right on the Massachusetts border. He specializes in growing old heirloom varieties that are a part of New England’s history, like heirloom beans, squash, radishes, eggplant, potatoes and peppers, all of which I use to create dishes all summer long.It’s a different approach, in that I start with the vegetables and then think about which protein works well with them. And I can’t tell you why, but the vegetables from Sparrow Arc are tastier and more beautiful than vegetables from other farms. I guess we’ll just have to give him some credit for being an awesome farmer! 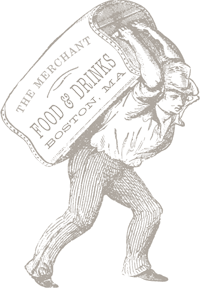 So come on into The Merchant this summer, and allow me to take a little credit for some of their ridiculously tasty produce!